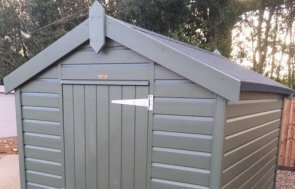 Measuring 1.2 x 1.8m, the compact and convenient shed boasts an apex roof covered in heavy-duty, heat-bonded felt and a single access door in the gable. There is a single fixed window in the length so that the interior gets some natural light throughout the day as well as a sturdy workbench in the interior that spans the width of the gable. The smooth shiplap exterior of the building is painted in the classic shed shade of Stone, which is one of four exterior colour options available. 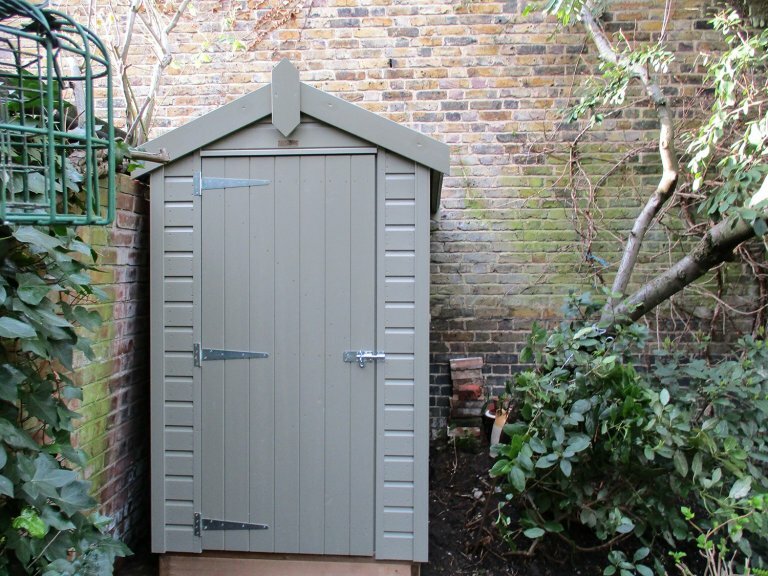 Thanks, my Classic shed was installed this morning and it looks fabulous! The build quality and the size of the shed is perfect, guys did a great job installing it. 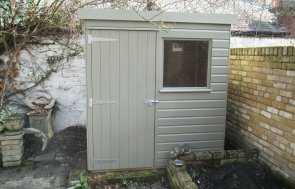 Our range of sheds also includes a superior collection that offer a range of more sophisticated extras such as additional windows, electrics, heating, insulation, oak-faced ply lining and alternative roofing and exterior finish types. In order to take a closer look at both types of garden shed, we warmly invite you to visit one of our UK show centres, where there is a vast range of buildings on display and a team of friendly advisors on hand to help. Locate your nearest show centre here, or instead get in touch with us on 01706 444229.